Digging into what drives the passion for and the culture of U of U sports fans. Capturing the culture and cultivating the "Quan". 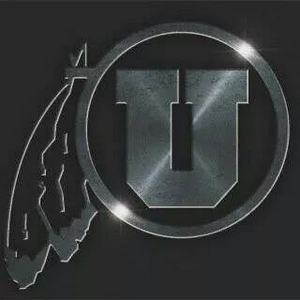 Go Utes! Utes dispatch BYU (again) for 8 straight, and we look ahead to the Pac-12 Championship game against Washington. S1 E13 PAC 12 SOUTH CHAMPS! Utes take care of Colorado in the snow, and lock up their first division title. HAPPY HOLY WAR! Happy 8s giving as we.....welcome byu to RES. Duck Gumbo with the PigBus, weather getting colder, Utes get huge 4th quarter win vs Oregon. 4 straight wins and 4 straight 40+ point performances have us giddy. Let's talk about that! Utah throttles USC for a 41-28 win, and we tag along with the Utah PigBus for an entire day of pig roasting shenanigans. Dropping some grooves and setting the way back machine for some cuts from local bands Swim Hershel Swim and Hoo Ray Who from days gone by, we review the Utes curbstomping of Stanford and look ahead to the matchup vs. Arizona. Cry me a river. The Utes lost again. But War Party U is here to validate your pain and make you giggle at least a couple of times. War Party U Weekly - Episode 4 "You're Drunk, Ryan. Go Home"